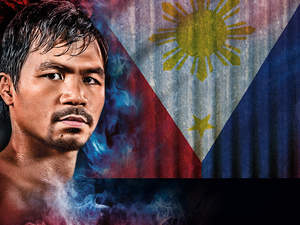 SAN DIEGO, CA--(Marketwire - October 15, 2010) - Boxing fans are invited to Barona Resort & Casino for a knockout casino floor drawing for Club Barona members featuring a guest appearance by the World Boxing Organization's welter weight champion Manny Pacquiao, on Sunday, October 24. "We wanted to offer our guests an exciting and rare opportunity to meet a world champion boxer while having the opportunity to win thousands of dollars in cash prizes and personalized boxing memorabilia," said general manager Rick Salinas. "It's also a great prelude to the upcoming Pacquiao vs. Margarito fight." To kick off the evening's round of special events, two exciting drawings will be held at 9:00 p.m. In the first, six winners will be selected to receive an autographed Manny Pacquiao boxing glove. Players can enter to win by placing their entry in the tumbler at the Hayloft Stage on the casino floor prior to the drawing. The main event of the night is the grand prize drawing, featuring a package of $3,000 in cash, tickets to the highly-anticipated Pacquiao vs. Margarito fight on Saturday, November 13, and autographed boxing gloves and painting signed by Pacquiao. Guests will automatically be entered to win by receiving one virtual entry for every 100 Club Barona myPOINTS earned between October 17 and October 24, before 8 p.m.
Five winners will be selected from the entries and three will advance to compete for the grand prize drawing. The three finalists will throw their best right hook and punch through one of five holes on a punch board, each featuring a photo of Antonio Margarito, Pacquiao's upcoming opponent. Four of the prizes concealed behind the photos will be $1,000, and one will contain the Grand Prize. The two players who do not advance to the final round will receive $500. San Diegans who aren't members of Club Barona can join for free at the Club Barona booth at the casino or online at www.barona.com. Barona Resort & Casino blends the best of San Diego's leading resorts with the gaming excitement of Las Vegas. LEED™ Gold Certified by the U.S. Green Building Council, Barona is San Diego's leading destination resort featuring 400 guest rooms and suites all with beautiful views of the Barona Valley, a variety of award-winning dining options, the AmBience Day Spa, a full-service events center and the 18-hole championship Barona Creek Golf Club, rated the 3rd best resort course in California by Golfweek magazine. For Barona Resort & Casino reservations and information, visit www.barona.com, or call toll free 888-7-BARONA (722-7662). You can also join Barona on Facebook, Twitter and the Barona Casino blog.